The Colts regular season opener is just three days away and with that comes the return of “Community Tuesday’s”. This past Tuesday, nine players went to five different schools for Colts Days in Schools presented by Vincennes University. 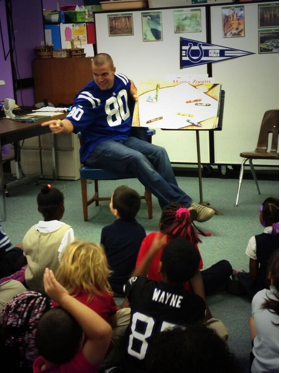 About 1,200 books were given to area grade schools as the Colts players sat down and read to the students. Also, here is a video of the first “Community Tuesday” of the 2013 season. 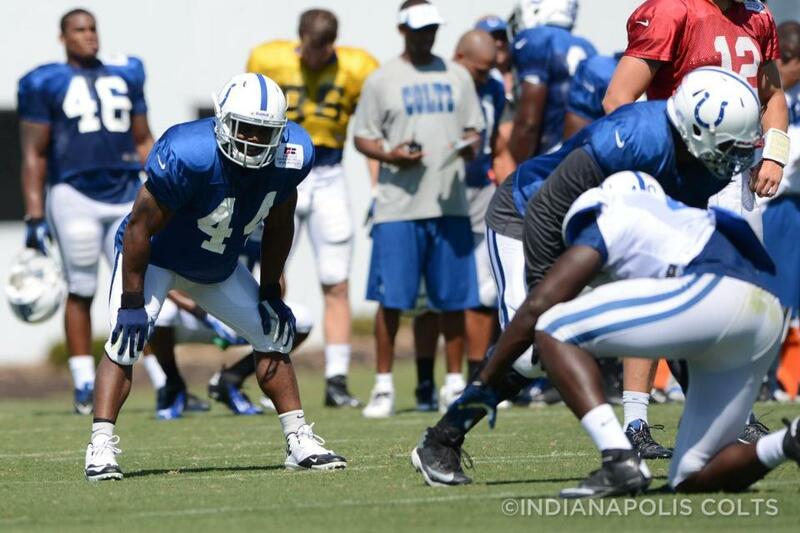 The Colts put together a two-hour plus practice day on Wednesday afternoon in preparation for Sunday’s season opener. Today’s news looks at the Colts and Raiders quarterback situation. Take a look below at the top pieces from Thursday, September 5th. Chappell writes a very good piece on what it means to have a premier quarterback on firm ground in the NFL. There are no better examples of the disparate possibilities — and anxieties — regarding the NFL’s most influential position than Sunday’s regular-season opener at Lucas Oil Stadium. The Indianapolis Colts follow the lead of quarterback Andrew Luck, the No. 1 overall pick in the 2012 draft who’s coming off a record-setting rookie season. From 1998-2010, they followed Peyton Manning, the league’s only four-time Most Valuable Player. The Colts have started the second-fewest quarterbacks (5) in the NFL since 1998 and have the second-best record in that stretch (.642). “You sleep better at night,” coach Chuck Pagano said of that quarterback situation. The Oakland Raiders have settled on Terrelle Pryor over Matt Flynn, according to the San Francisco Chronicle, although coach Dennis Allen noted he hasn’t made any announcement. “Both those guys are preparing, getting ready to play,” he said in a Wednesday conference call. While Raiders head coach Dennis Allen isn’t announcing his starting quarterback, reports out of northern California indicate Terrelle Pryor getting the nod. Pryor brings a spread element and dual-threat abilities to the quarterback position. • Pryor has played sparingly. There’s little history to work with because of his limited experience. The Raiders have a new offensive coordinator, Greg Olson, which further complicates matters. • Pryor’s athletic ability will keep the Colts on guard.